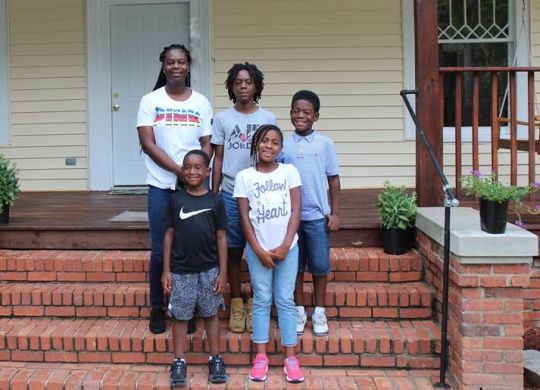 The Fuller Center for Housing of Macon, Georgia, is leading the way in the city’s effort to reduce blight and help families have simple, decent places to live. The Fuller Center of Macon’s latest project was dedicated on Sunday for a hard-working mother of four children — all of whom took pride in working alongside local volunteers and Fuller Center U.S. Builders teams from out of state to transform another once-blighted house in the Napier Heights area into a beautiful, like-new home. WXGA-TV has this report from dedication day, in addition to the following video from The Fuller Center of Macon.